Atlas's goal is to provide a system that does it all. How can we accomplish such a task on our own? We find the best companies to integrate with in order to bring our clients the most complete product on the market. Our vision is to provide our clients with tools and strategies that help them create their ideal practice. You work hard at building your business and need a partner that has technology and training solutions that will contribute to your success - and that's our job. Being fully integrated with Atlas is part of that success. New free integrated payment module partner. Atlas Chiropractic Software and OpenEdge (a division of Global Payments), offer the most secure payment solution available. This payment solution gives you the ability to get paid quickly with several easy ways for your clients to pay. Available in Canada and the US. Atlas has negotiated that OpenEdge must match or beat your current merchant rates. Save money and time along with the best features, it's a winner. Forte is one of the fastest-growing privately held electronic funds transfer processors in the United States. Forte's customers benefit from a comprehensive suite of payments products and services, including ACH origination, check verification, identity verification, credit card and debit card processing. Dedicated to providing superior customer service and industry-leading technology, Forte provides tools to help organizations of all sizes reduce transaction costs, mitigate risk and increase efficiencies. A recent study discloses it takes 19 days and cost in excess $17,000 to re-enter just 20 megabytes worth of sales and marketing data. Retrieving accounting records is even worse; they require over 21 days of work and cost over $19,000 to re-type. For many businesses, this kind of cost can close your doors. Remote backup service can keep these extreme expenses from hitting your company! Data Deposit Box accelerates the adoption of cloud backup systems for small-to-medium sized businesses and the providers that service them. They do this by making these solutions smarter, reliable, easy to use, cost-effective, and trustworthy. Don't be caught with all your data not up to date and available when you need it. 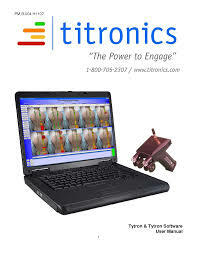 For over 30 years, Titronics R&D has been providing chiropractors worldwide with the most accurate and reproducible thermographic instrumentation possible. From the Tytron series of digital IR paraspinal scanners to our high resolution medical imaging software, our commitment is to provide world class quality and customer service. The chiropractor of today now has the means to ?show? their patients the defining principle of chiropractic care ? restoration of normal neurophysiology. 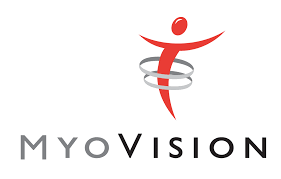 As the result of NASA and NIH Grants, MyoVision was the first to provide purely objective, physiological data to establish the value of Chiropractic. Twenty-four years later, this data is now a necessity for our current evidence-based, data driven world. E-Scan Wireless Static sEMG provides the cash practice patient the proof needed to justify their care plan. DynaROM Motion sEMG provides a patented method of proving muscle guarding and pain, even with range of motion normal. This provides the indisputable evidence needed to establish instant credibility with PI attorneys, insurers and patients alike. The test takes no longer than traditional ROM yet billing 5 times more, and provides better clinical data as well. Manufactured in the USA since 1989, we provide the highest quality engineering, support and the ultimate in ease of use.